Upstairs Rooms and Stairs have All NEW CARPETING here at this RESORT TYPE HOME!! 5 Slider Doors will be replaced as well!! 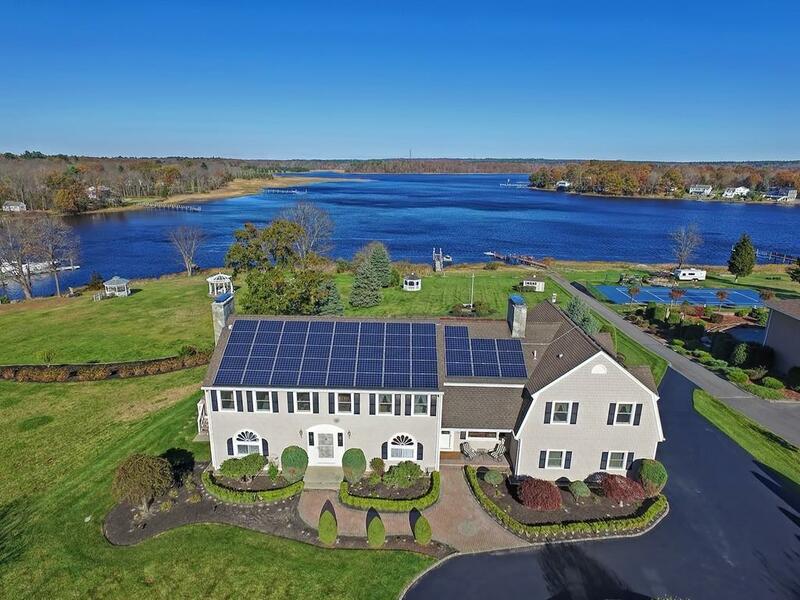 Exquisite Waterfront Property located in Shepherd's Cove Estates, Assonet's Hidden Gem... Double Front to Back, Grand Master Bedrooms (Both with On-Suites) have Breathtaking Water Views of Shepherd's Cove from the rooms and from Captivating Juliette Balconies! The 1000+ sq ft Master even has it's own Living Room Area complete with the Stunning Views of the Assonet River, a Romantic Double Sided Fireplace and Huge Master Bathroom... This Opulent Home offers Hardwood Flooring throughout most all rooms of the first floor. The Beautiful and Scenic Eat-in Kitchen opens to the Double Tiered Deck to capture every Breathtaking View... Heated 40'x25' in ground salt water pool has just been opened up!! Shared Boat Ramp gives you Ease of Access right from this home to take your Boat in and out for the Boating Season. Finished part of Lower Level includes a Fabulous Game Room!